Saturday already! Anyone else feel like they need to slow things down a bit? We blink, it’s November. We blink, it’s December. We blink, we’re taking Jell-O shots on NYE and then all of a sudden, we’re throwing burgers on the grill in July. We can’t stop this time train, but we can certainly save ourselves precious time in the kitchen. Have a looksy poodle at this week’s meal plan! We’ve got some crock pot action, some casserole comfort, some stir fry excitement…it’s a real blast! The ladies from Greens n’ Chocolate, Making Thyme for Health, Cookie Monster Cooking, Flavor the Moments and I are here to help out with the whole time management device… So you can spend precious moments with friends and family rather than scrambling to and fro in the kitchen each and every day. You can save yourselves the hassle of going to the store multiple times during the week by using our printable grocery list (scroll to the zee bottom of this post). Have yourselves a marvelous weekend, and as always, a fun and healthful week! Crock Pot French Onion Soup from Cookie Monster Cooking. Vegetarian Option: Substitute low sodium vegetable broth for the beef broth to make vegetarian. Serve with a side salad for a complete meal! Butternut Squash Enchilada Casserole from Making Thyme for Health. Prep Ahead: You can buy pre-cut butternut squash to save time. Kimchi Fried Rice from greens & chocolate. Add chicken, shrimp, or tofu to this dish for an extra protein boost! Baked Penne with Meat Sauce and Smoked Mozzarella from Flavor the Moments. Prep Ahead: Prep vegetables in advance, or make the sauce a day or more in advance. Sauce freezes very well! Gluten-Free Option: Use your favorite store-bought gluten-free noodles. 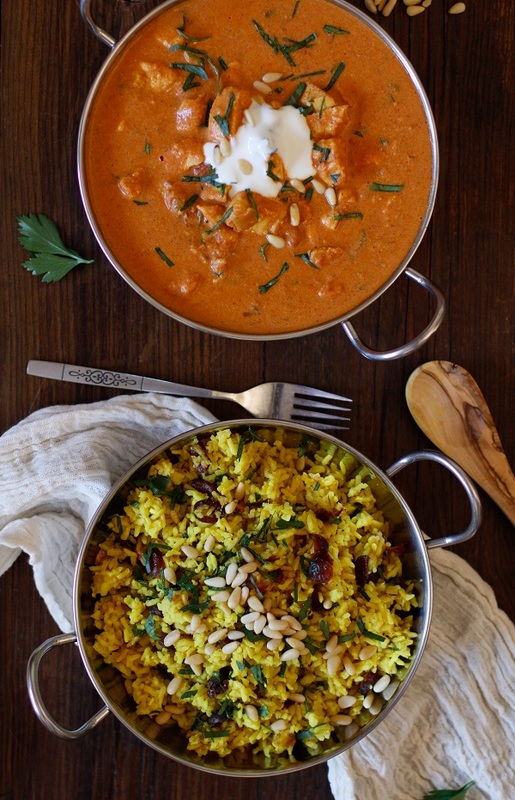 Crock Pot Chicken Tikka Masala from The Roasted Root. Prep Ahead: The sauce can be made ahead of time. Vegetarian Option: To make this recipe vegetarian, substitute the chicken for 1-1/2 cups lentils and 1 (14-ounce) can of chickpeas. Get all your grocery shopping for the week done in one fell swoop by printing out your grocery (as shown below) list HERE! Click HERE for customizable meal plan and grocery list (below)!